Share the comics with family, friends and coworkers! Why is this joke funny? 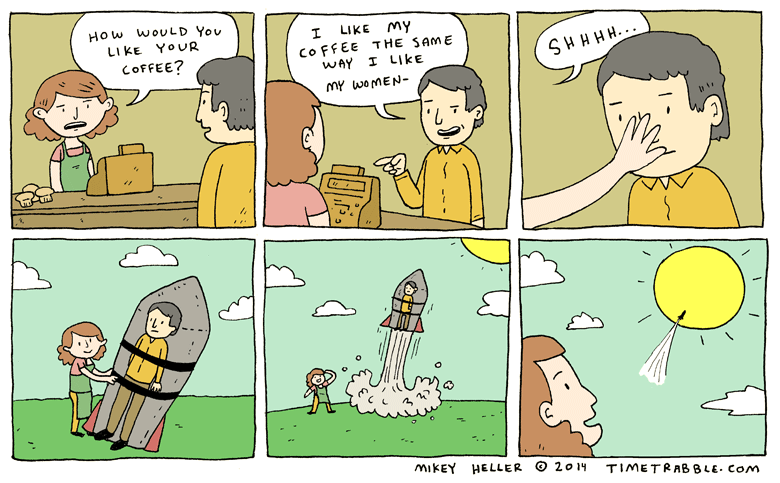 This joke is funny because the woman does not wait for the man to tell her his cheesy pickup line, instead she fires him directly into the sun on a rocket. And that is why this joke is funny. Why is this comment funny? This comment is not funny. No explanation of a joke can be funny, and attempting to explain a joke instantly renders the joke itself unfunny as well. And that is why this comment is not funny.